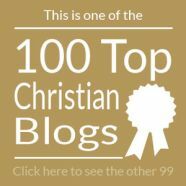 I usually don’t re-post or co-post material from Christianity 201 here unless it’s one of my original pieces. In today’s case, the second half of the article is from another writer, but the subject matter is so central to my story and my values, I was surprised to see that I hadn’t covered it here more in the past 10½ years. I’m running the article as it appeared there a few days ago. 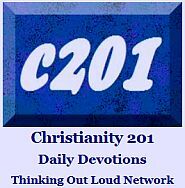 1 Corinthians 14:26 (NET) What should you do then, brothers and sisters? When you come together, each one has a song, has a lesson, has a revelation, has a tongue, has an interpretation. Let all these things be done for the strengthening of the church. This first verse above (from chapter 14) has resulted in many different expressions of spontaneous interjections to any given worship service. I’ve seen it expressed in the Brethren style of worship where there are often long silences before the next person will stand up and share something which blessed them through the week. I’ve seen it happen in the Pentecostal style of worship where people will suddenly start speaking in tongues and as soon as they are seated, someone else will suddenly offer the interpretation. My favorite was an interdenominational meeting* which wasn’t entirely different from the apparent spontaneity of the Pentecostal service but seemed to also imply the preparation which might have gone into the Brethren service. The thing that made it different is that before speaking, people would first define the gift they were about to bring. I wrote about this experience briefly in 2008. At the time I noted that with each participant clearly defining what it is they were going to say, nobody could jump up and say, “I have a cute story about my dog.” It was also not the time for prayer requests. It was a time for using spiritual gifts to build up the body. …I realize writing this that lay participation in the service is perhaps quite uncommon where you worship. It certainly doesn’t fly in a megachurch environment, or where a church has bought into the idea that the people in the seats are an audience or spectators. I got thinking about this after reading an article by Ned Berube at the blog Lionshead Café. The article was titled, Thoughts on Evangelical Corporate Worship. Because they are quite clear that every believer is inhabited by the Holy Spirit and consequently hearing the word of the Lord hopefully on a very regular basis, they make room explicitly for individual members to share what the Lord may have put on their heart. Two or three may share for 5-10 minutes before an elder speaks for 30-40 minutes on a prepared text. The others might be more spontaneous or thought through earlier in the week. The value of this is apparent-the whole congregation is “on call” for sharing the word of God and they are quite clear that they are part of a gifted body of believers that are to bring forth God’s word to God’s people. They are central to the Liturgy (Greek liturgia– the work of the people). And it derives very clearly from Paul’s exhortations to the Corinthians in chapter 14 of the first letter: “When you come together, you all have a lesson, a revelation, a tongue etc”). 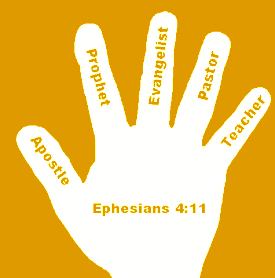 They were led to believe that every time they came together they could expect the presence of the Spirit who would use the whole body of gifted believers to minister to the whole body. A good 15-20 minutes was separated for “Sharing” from the congregation. We tried to have a 90 minute service but more often it was closer to 2 hours. Sometimes a bit beyond. And I’m sure that the length eliminated a few folks. Maybe a lot! But our thinking was built on what we perceived as a dearth of spiritual impartation by the body to each other. And many complained and thought that could be better met by a system of small groups. In fact, one couple that visited thought our service was more like a big small group, which they meant largely as a critique, but we felt that the trade-offs were worth it. I would consider Simon the most skilled worship leader I have met in the world. The first time I watched and heard him lead worship was an amazing personal event. Simon is very small of stature and he took his guitar and turned his back to the congregation/audience and proceeded to lead us in music that was rich toward the Person of God and circumvented most of the “how I am feeling about God” lyrics that have dominated so much of modern evangelical worship. 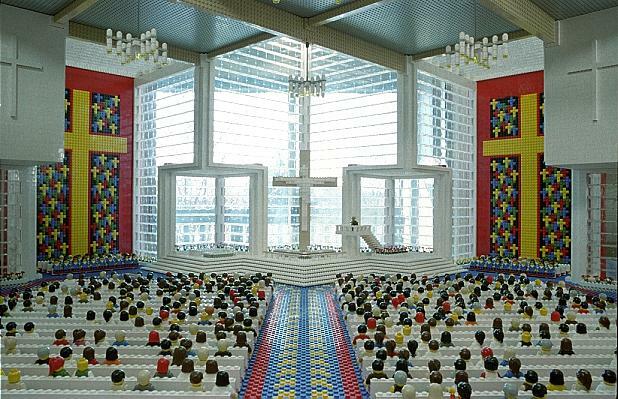 Talk about avoiding a personality-driven church! If we do not provide a venue for the general sharing of the body in a worship service or small group, we run the risk of creating an elite that alone can speak the word of the Lord. And that is not to dismiss gifted preachers who should indeed be handling the bulk of preaching and teaching, but there must be a place for the larger body to bring their unique perspective into the mix of a worship service. And as I share these sentiments, I am also personally aware of pastors and friends who would consider these thoughts anathema. And there are decent reasons for so thinking. There are a lot of ways for this to go off the rails. But if there is sufficient teaching and healthy leadership during the worship service that can be minimized. We did this for 18 years at Christ Community Church with far more blessing than weird off-key expressions. …read the full article at this link. Is the modern church over-emphasizing leadership skill sets? Somebody at a church told me something once, by way of a dismissal, that has stuck in my introvert brain. It’s gone round and round like a leaf in an eddy of river water. The statement was this: “I don’t see you as a captain. At least, not yet.” The idea being that I wasn’t fit to fill a certain role in that church. In the moment, I was disappointed, but also there was something that objectively bothered me. Hence the swirling. Captains serve on the Starship Enterprise. Not in the Church. The Church is the body of Christ. His hands and feet and speech in the world. I am a servant of that body. I, like all of us, have one calling: to honor God with our gifts and skills, and to serve each other. In my case, that service comprises music – “leading worship” as it has come to be called. It also includes leading worship leaders. Seeing the potential in other singers and musicians to join in, encouraging them to contribute to planning and then to step out on their own. I’ve had the joy of raising up a team to feed, encourage and speak Christ’s love to people on the margins of society – a group which has gone on to become an established charity still doing good work in our area. I’ve been paid to teach groups how to work together to plan, prepare and execute a Sunday morning. Finding their own giftings and setting them loose. I’ve built from scratch a band of worship singers and musicians drawn from 6 different churches who played together for 3 years. And I’ve been effective. All without shouting a single order. So, no, thank God, I’m not a captain. I’m a servant. A builder of frames, a drawer of shapes. I’m a finder of treasures and an opener of doors. A creator of opportunities and an encourager. And no, I guess I’ll never receive the formal affirmation – the blessing – of my fellow believers. My ‘salute’ will always be hugs and moments and memories. I just hope that we’re not heading to a future where “captains” run the church. I might just demob. Regular readers here know that my mom died on the 10th of October. Today would have been her birthday. We made the decision to take the funeral ourselves, which meant planning something even while in the middle of our own emotional stressor. I did outsource a great deal of the speaking to people who knew her at different times of her life and ministry, and many of those left the transcript of their remarks on the podium for me to go back to. Keeping track of those people, six songs that were meaningful to her, and a scripture reading (which I almost forgot entirely), means that I didn’t get to say everything I wanted to say, and one of those was to talk about the gift of discernment, the spiritual gift my mom felt was the greatest — despite Paul’s emphasis on tongues — gift needed in these times. In the times in which her and my dad’s Christian life was shaped, the problem of what we would call ‘cults’ and what they would have called ‘false cults’ was a huge part of their spiritual environment. Even relatively orthodox people often had some pet doctrine which deviated from the norm. It’s not surprising that this problem has always been with us; the problem of false teachers is at the core of several of the Apostle Paul’s letters. What’s interesting about her feelings about discernment is that it comes from someone who never directly used the internet. As I just stated, this problem seems to have been pervasive throughout church history, but how much more is it needed now when people — and I’m thinking here especially about new believers or nominal Christians — don’t have a frame of reference to know where a particular podcast, book, song, author, pastor, church, or movement is originating. We need that online today more than ever. The word discernment has taken on a new meaning lately. 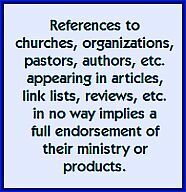 Discernment ministries is a term used to apply to watchman or gatekeeper ministries which take the practice of guarding the flock to extremes and are dismissive of anyone whose theology (meaning a compendium of individual doctrines) does not line up 100% with their own. This overboard approach to discernment at times simply fractures and divides the body of Christ unnecessarily. We’re never going to agree 100% on every nuance of faith and practice, but we can agree to disagree on things not central to the gospel. Problem is, some people are convinced that their doctrinal take is central to the gospel. To read previous discussions here on discernment ministries, click this link, and read the first four or five entries after the repeat of this one. As important as I think it is, I see I’m posting these Lost Voice stories only every other year. We’ll have to do something about that. Unlike the other people in this series Dann (don’t forget the second ‘n’) isn’t really in a situation where anything about his career, marriage or circumstances makes him invisible in the local church, in fact he seems to be participating in a variety of activities when something needs doing. The reason his story is here is, when you think of it, entirely superficial. But that’s exactly what makes his situation so ridiculous. Simply put, Dann — who is Swiss-born and about 55 years old — speaks perfect English, but with a thick German accent. Everybody knows him and he usually sticks around for a few minutes after the service ends, but some people should really come with subtitles. People often have to ask him to spell a word so they know what he’s saying. So there are, in this small-to-medium size church, opportunities for public ministry which fall to other people that simply don’t fall to Dann. For example, he’s never been asked to do the scripture reading. Yes, it would be a little unclear at times, but would it be any worse than trying to follow along in the NLT while someone up front is reading from the NASB? I think we’re all accustomed to that sort of thing by now. Maybe Dann should asked to be baptized again. At the baptismal service, you at least get to share your testimony. 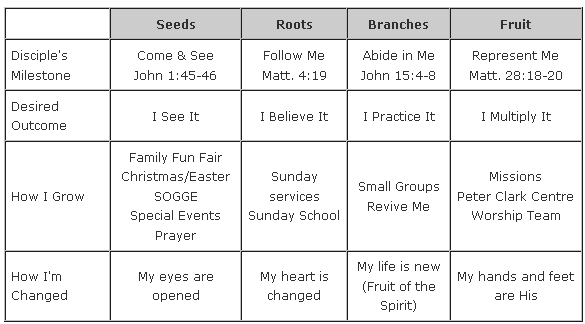 In some churches, it’s your only chance to share something from the platform. …Dann is one of the lost voices in the modern church. His contribution to his local church might be significant, but after years of being marginalized, it’s unlikely he’ll be asked to do much moving forward. There’s a phrase that I think I first heard used in some Christian and Missionary Alliance settings about the gifts of The Holy Spirit: “Open, but cautious.” Simply put, it represents people who are open to Spirit-led expressions of faith and doctrine but with the caveat of keeping their eyes wide open (or perhaps having one eye on scripture). While my wife and I don’t attend weekly worship in a Charismatic or Assemblies of God-type of setting, I would say I am very much onside doctrinally inasmuch as I (a) am not a cessationist1, (b) believe in the limitless power of God to do the things people count as impossible2, and (c) believe that the things of God should touch our emotions as well as our minds3. I also recognize that in Children’s Ministry (or KidMin as its now often referred to) there needs to be a point in the curriculum where you emphasize the distinctives of your doctrine, and if your kids are being raised in a Charismatic church, you want them to both have an education and have experiences with different facets of that environment. So, I like Pentecostals, like camping and like KidMin. So what’s the problem? I’m not sure; I would just rather it was an adventure camp, or a horsemanship camp; or if you must title it after the teaching theme, a discipleship camp or a Christian leadership camp. I’d rather pin the emphasis on the giver rather than the gifts. I would prefer to focus on the normal Christian life rather than the occasions where God breaks in with the supernatural. I also don’t want to raise expectations for kids about the whens, wheres, whys and hows of sign gifts that could lead to disappointment. Maybe I’m just a lousy Charismatic. Maybe I’m not attuned enough to the language and culture of some of today’s popular doctrinal streams. Hopefully I am a realistic Christian who still believes in the ability of God to do the impossible; but with the awareness that the thing that makes the exceptional the exceptional is that it doesn’t happen every day. So parents, would you send your kid to Signs and Wonders camp? 1 I have actually never owned a Cessna, nor do I have a pilot’s license. More seriously, I do not see the end of the apostolic age or the completion of the canon of scripture signalling the end of certain gifts. 2 This said, my faith can be as weak as the next guy’s in certain situations, not to mention a trademark Canadian pessimism that at times permeates my prayer life. 3 The things of God should touch our hearts and our emotions, but often they don’t. Spiritual complacency and apathy are always crouching at the door, and when a preacher tries to rev up an audience into emotional frenzy, I am often the first to want to shut down completely.